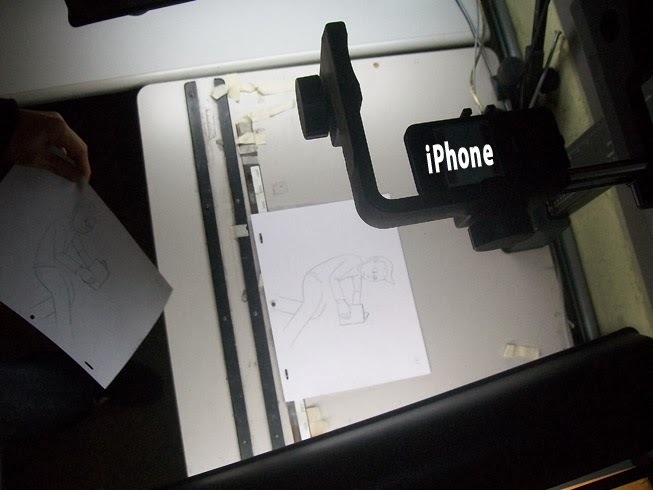 Cellphones can do almost anything these days and now animators can shoot pencil tests on their iPhones. Hopefully, you aspiring animators out there could benefit from the following information. I met up with Dota Sata, a second-year animation student at Woodbury University, who shot an entire animated film in pencil test form using his iPhone. I have documented his process so other animation students can do the same thing, with just an iPhone, an iPad and a working knowledge of After Effects and Premiere. Dota has both an iPhone and an iPad along with an app called iMotion Remote. This app is free, but you will have to pay for the Export function which allows you to export your image sequence into other programs like After Effects CS6 and Premiere Pro CS6. Just attach your iPhone to a tripod or copystand, aiming your iPhone's camera downward with the artwork underneath. Dota attached a Joby GripTight mount to his iPhone. Each drawing is placed onto an ACME pegbar and illuminated by two lights at 45% angles on either side of the stand. The iPhone's camera must be adjusted to make sure the focus and exposure are locked before shooting. 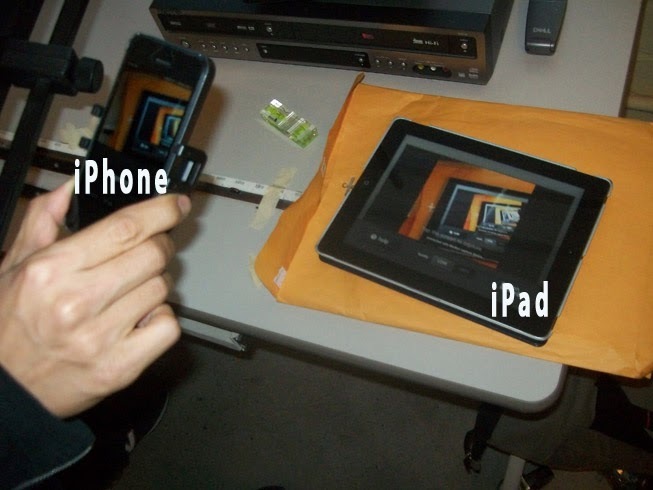 Dota can control his phone's camera using an iPad and iMotion to shoot one frame at a time by touching the iPad's screen to trigger the iPhone. Once all the artwork has been shot by the iPhone, all the jpeg images will be put into iMotion's photo library. This is when you will need to import the jpegs into After Effects as an image sequence. Open After Effects CS6 to import the jpeg image files and check the box labelled "Force alphabetical order". This will place your jpeg image sequence onto one layer instead of separate layers. When it's on one layer, click on the third icon at the lower left corner labeled "Expand or Collapse the In/Out/Duration/Stretch panes", which displays these 4 choices. The control called Stretch will be on 100% showing each image as one frame. By changing Stretch to 200%, each image will be shown for 2 frames. If you want to hold an image for 3 or more frames, you can copy the image and then cut and paste it back on the timeline. Repeating this process pastes the same image for as many frames as you want. If you want your animation to move on 2's and then switch to 1's, you would have to create two layers, one layer would be for the 1's and the other layer would be for 2's; each layer could have holds as well. What if you added a background? A background can be placed as another layer under the animation layers. Also remember that this is a pencil test, so your background might show thru your animated drawings. If you don't want this and want a solid color on your animated character, you will have to do more work by importing these images into Photoshop to add a solid fill color. Of course this process will add more time and can also be done afterwards in Toon Boom's Harmony or Animate Pro. You can then export your file as a Quicktime, h264, etc. into Premiere to add it to the current cut or add sound or whatever you need to do. To Scan or not to Scan ? This whole iPhone process grew out of not wanting to spend extra time using a scanner to scan in each of the nearly 1000 drawings that Dota had created. 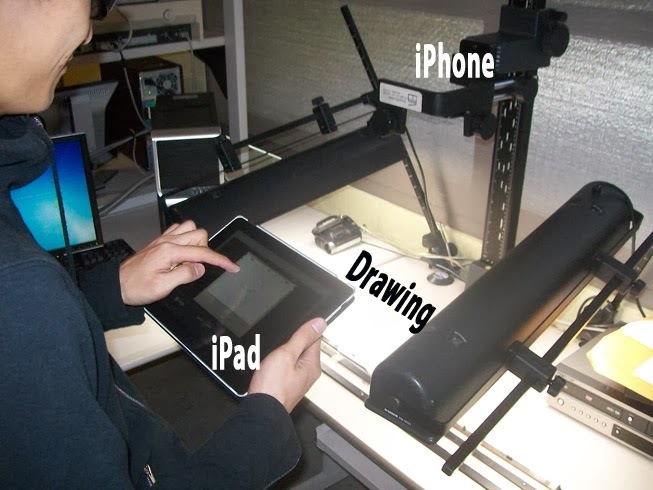 You can even scan your drawings without placing each one onto a taped down pegbar for registration. Lilly Vogelesang, Toon Boom's product manager, told me that there is a peg registration feature in Animate Pro and Harmony. All you need to do is make sure there is no written or drawn information around the peg hole and flat hole area. 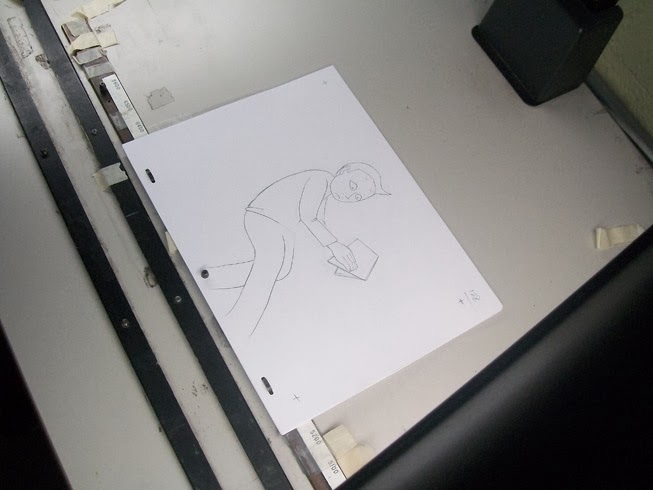 A written scene or cel # or even a smudge could throw the registration process off. "By placing a black card behind each drawing to be scanned," said Vogelesang, "Toon Boom's software can use those blackened peg holes to align the drawings in the program. The only thing to be aware of is that you need to know the DPI that you're scanning the images in with in order to set the settings. This process is called "Optical Registration". You can access the advanced vectorization options just by double-clicking on the vectorization preset in the import images dialog." Here's a link to this process in Harmony which explains it better than I can. So, the next time you pick up your iPhone, you can either order a pizza or shoot a pencil test or maybe even both. 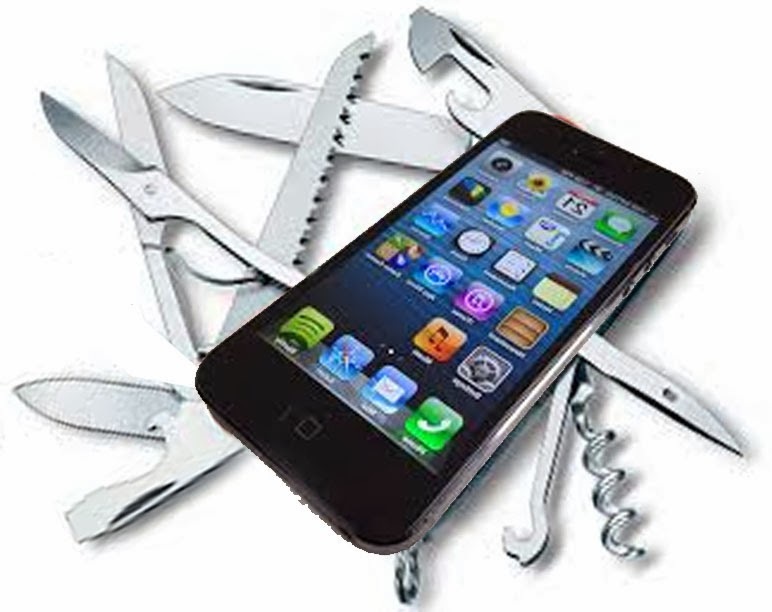 Here are a few other links that might help you if you don't own an iPhone.